Heilongjiang's culture is part of a culture of Northeast China that is relatively homogeneous across this region, known in Mandarin Chinese as "Dongbei" (the northeast). Ethnic Minority Groups,with a population of over 36.8 million, there are about 35 ethical groups living in Heilongjiang.Among them the most characteristic ethical groups are Hezhe fishermen, Ewenki Hunters and Daur ethnical group, who raises mainly cattle. Their life styles are very different from each others. The education system in Heilongjiang, as elsewhere in China, can be simply summarized as "four educations" and "7 levels". The "four educations" refers to pre-school education, primary education, secondary education and higher education. The "7 levels" refers to kindergarten, primary school, junior high school, senior high school, higher college education, undergraduate education and postgraduate education. Heilongjiang embodies many famous universities, institutes and academies, including Heilongjiang University, Harbin Institute of Technology, Harbin Normal University and so forth. Heilongjiang University is located in Harbin, a famous city with beautiful scenery in northeast China. Harbin is also known as the "Moscow of the East" and the "Paris of the orient". Its landscape is very beautiful and its architecture has special features. It is cool in summer, and skiing and skating are available in winter. It is especially famous worldwide for the beautiful and wonderful art of ice lanterns. Therefore, Harbin deserves the title of "International Metropolis". 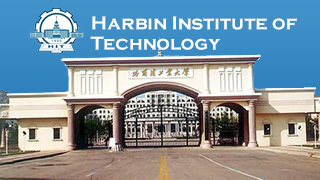 Harbin belongs to the standard Chinese Pronunciation Zone. It is the most place to learn Mandarin Chinese. Heilongjiang University is a key comprehensive university with multidiscipline including liberal arts, sciences, foreign languages, engineering, management etc. The university covers an area of 1,920,000 square meters. The total building area is nearly 1,000,000 square meters. The total enrollment of full time students comes to over 30,000 and that of doctoral and master candidates 1000 and that of international students 600. There are altogether 10 branches of diciplines, i.e., philosophy, economics, law, education, liberal art, history, science, engineering, agriculture and management covering 71 specialties. The university has the right to confer bachelor, master and doctor degree. The government of Heilongjiang Province has established the Heilongjiang Government Scholarship for International Students (hereinafter referred to as Scholarship) in accordance with the Guidance for the Medium and Long-Term Educational Reform and Development in Heilongjiang Province (2012-2020),in effort to further promote the development and make progress on scale, level and service ability of the international students' education of Heilongjiang Province, and attract more academically excellent international students to study in Heilongjiang. The scholarship is to support international students with excellent performance, who are to study in the appointed educational institutions in Heilongjiang province, for degrees at different levels. - Applicants for bachelor's degree must have acquired a diploma equivalent to Chinese high-school graduate and be under the age of 25, and should also be in accordance with the eligibility of the host institution. - Applicants for master's degree program must have bachelor's degree and be under the age of 35 and should have a bachelor's degree with letters of recommendation from two professors or associate professors. 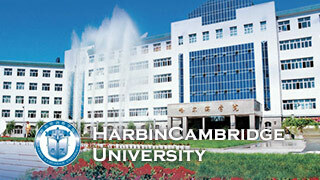 Why Study in Harbin, Capital of Heilongjiang? Harbin has the most standard Mandarin in China. Learning standard Mandarin from the start will prepare you for traveling to or living in any other Chinese city. Whereas starting in a Southern Chinese city may negatively influence your Mandarin study and accent. Harbin has a much lower cost of living than any other Chinese city of its size. While you are studying your course, keeping your costs down is important. Harbin has all the modern conveniences of the West but has kept its Chinese character and traditions. Other major Chinese cities such as Beijing or Shanghai have lost most of their Chinese character during their westernization. Learn the customs and traditions of real China and you will be leaps ahead of other foreigners that only learn the watered down customs of Beijing or Shanghai. If you later move to cities such as these you will be better positioned to compete. What kind of clothes should I bring to Heilongjiang? In all cities of Heilongjiang, the winter is very cold and long, if you don't want to spend a lots of money to buy new clothes(in fact, Heilongjiang is a most modern and fashionable province of China, you can buy clothe after you come) you had better to bring your coats to there.